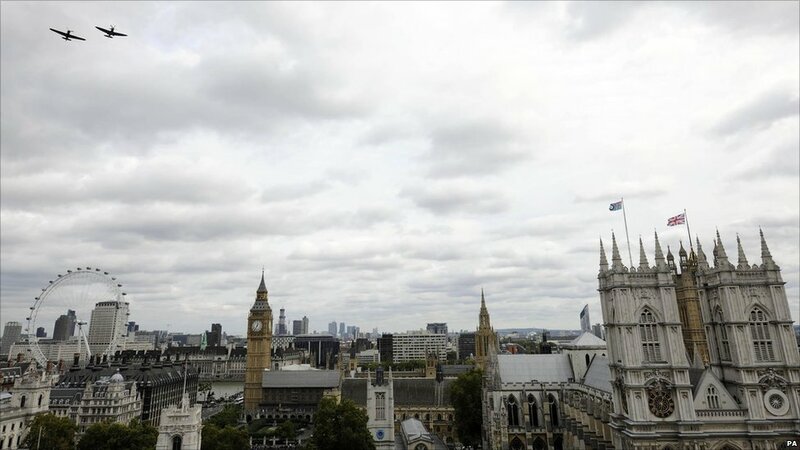 The 70th anniversary of the Battle of Britain was marked with a special service and flypast in central London. 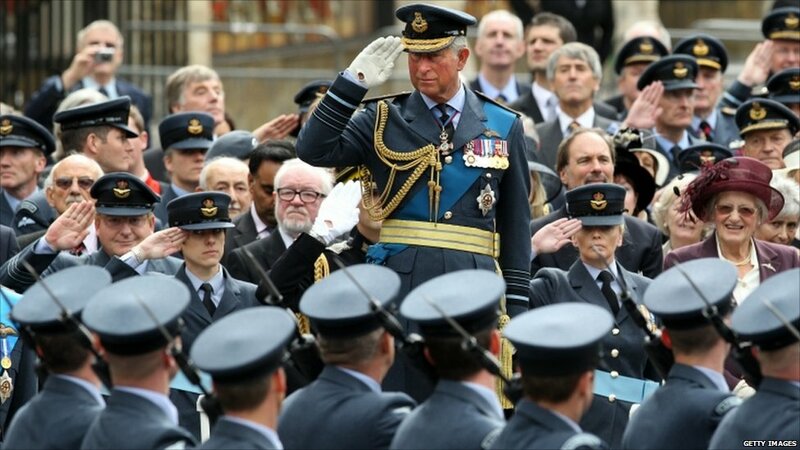 The Prince of Wales, as patron of the Battle of Britain Fighter Association, salutes while watching a parade. 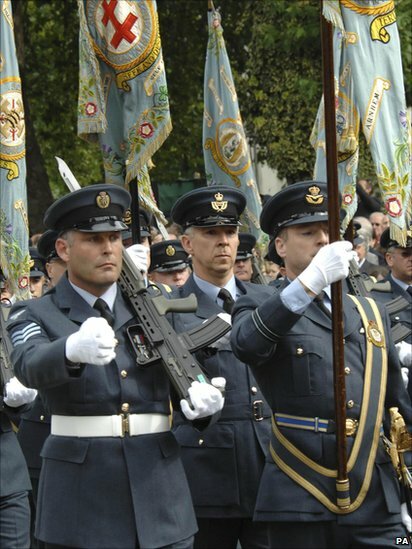 The parade took place to remember the battle which saw RAF pilots defeat Nazi Germany for air superiority. The fighter planes which played a key part in the battle took part in a flypast after the ceremony at Westminster Abbey. 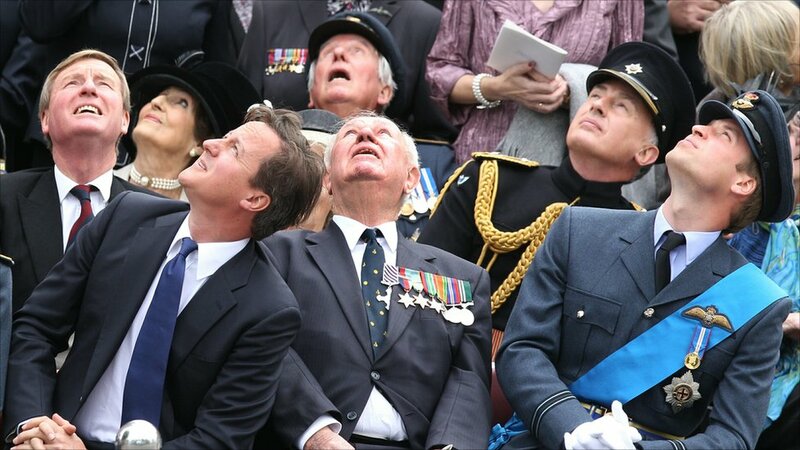 Prime Minister David Cameron and Prince William, who has just graduated as an RAF helicopter pilot, also attended the service and watched the flypast. The Battle of Britain Roll of Honour was brought to the alter during the ceremony. Six RAF veterans who took part in the battle walked down the aisle at the start of the service which saw black and white footage of the battle shown. 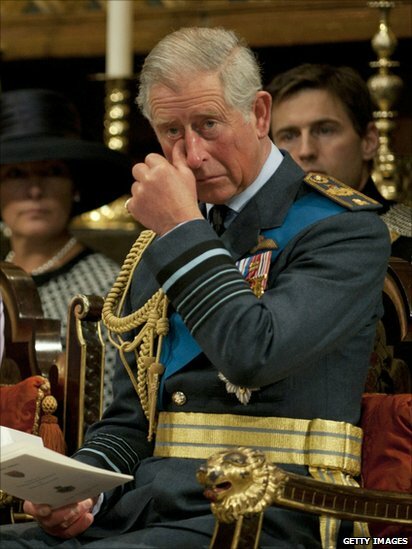 Following the service, Prince Charles said veterans always "brought a tear to my eye". He said: "There's something very special about it. 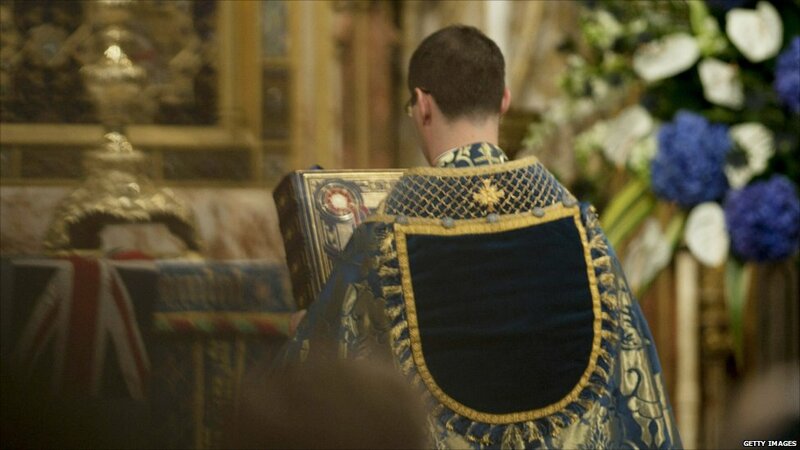 Of course we owe an enormous debt to them, it makes one feel very humble." Prince Charles met with the battle's veterans. 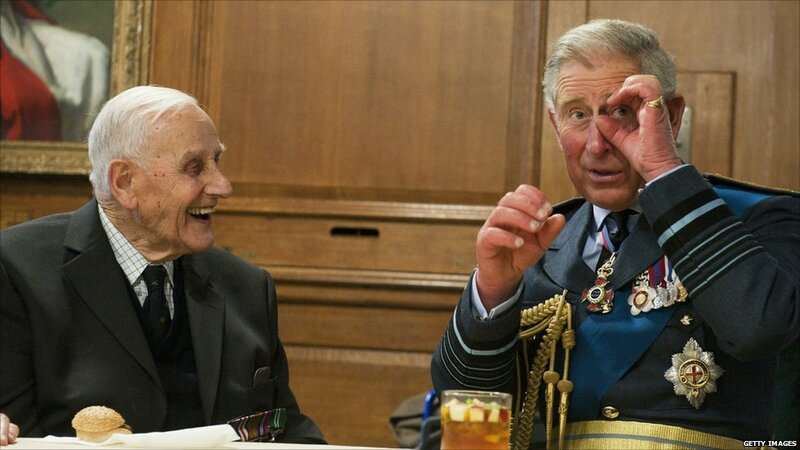 Here, he describes to 97-year-old Fl Lt William Walker how his son Prince William learnt to use a night vision goggle (which covers only one eye) to fly his Chinook helicopter. 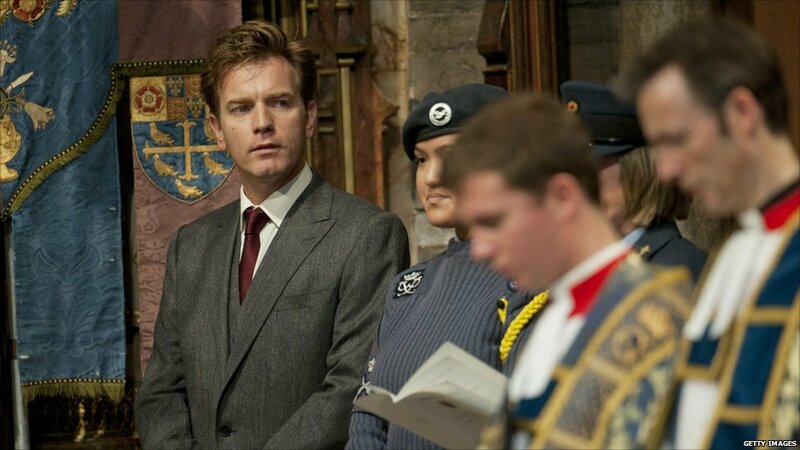 Ewan McGregor read a prayer at the service. The actor has made a BBC documentary about the historic battle which features his brother Colin, an RAF pilot, putting his modern jet fighter skills to the test by flying a spitfire.